You love riding your bike when the weather is nice outside, going from one good place to another and trying to get a good exercise. But does the idea of riding a stationary bike for one hour inside a dark room, sweating, bemuses you? What kind of enjoyment can you get out of it? Is it not a little girly to sit on a stationary bicycle for an hour in a room? 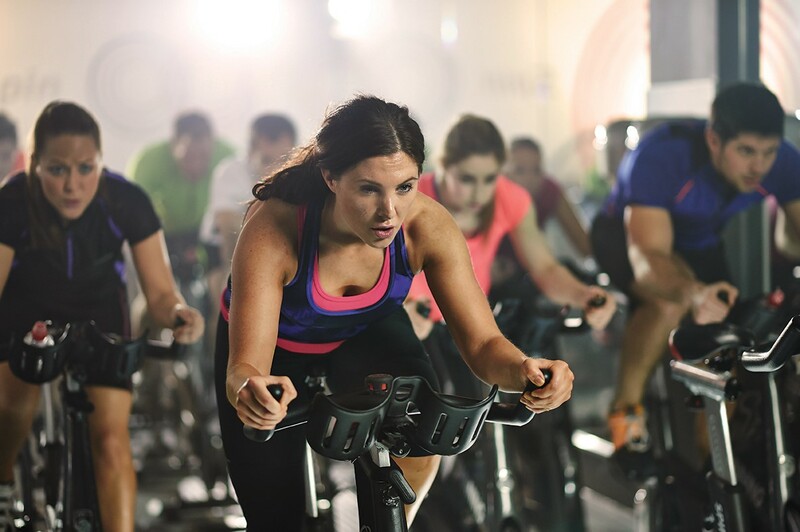 Don’t be quick to judge Spinning or indoor cycling classes. The good news is, spin classes are placed where you can enjoy and get inspired, at the same time get your sweat and endorphins flowing. From the music that is used to the instructors, to the constant lighting changes, a good spin class don’t have a boring moment. According to people who tried the course, they came in the class tired and left with so much energy. You are going to have an instructor that will give you 150% of their energy and attention, and not to mention, that energy of the instructors is very contagious. 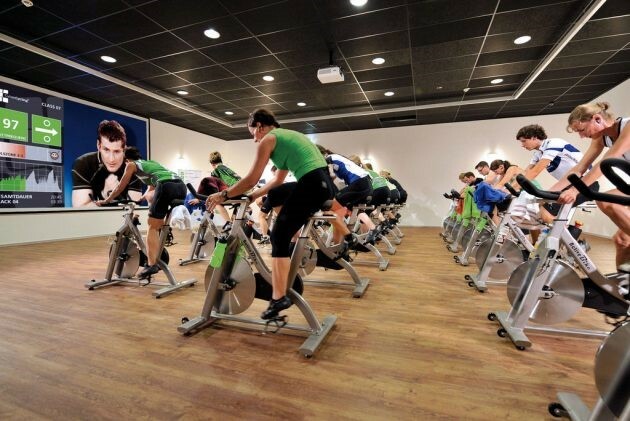 Want to know more about indoor cycling? Visit https://en.wikipedia.org/wiki/Indoor_cycling. Indoor cycling or spin classes are not made for people who expect this class like it is Tour de France or tournament contenders. The course is for everybody, from beginners to advanced degree of physical fitness. Most classes focus on light to heavy resistance and metabolic intervals, so that your legs will be challenged and burn, but will not get too fatigued. A lot of students take this interval approach when pedaling on “flat surface” instead of pushing hard when “climbing a big hill.” Interval approach gets your heart rate up and lets you burn a lot of calories with less time needed. It hurts a little when walking the stairs after you finish a session, but who does not love the fact that you are working hard. After taking a spin or cycling classes a few times, you will learn which of the instructors suits you best and who shares your taste in music. There is nothing like pedaling your hearts out to good music and seeing the instructor and every student in the class enjoying the cycling class and counting at the same time. According to research from National Center for Health Research, professional or amateur athletes work harder when they are listening to good music with a fast tempo. Music is a big part of working out; it allows people to bring up emotions and feelings that you would not think about when you are in the office or at home. If you are experiencing a bad day, it helps people to press the refresh button in their body. You can make your workout jam to make it more personalized. Are you surprised to see weights inside a cycling or spin class? It has become a lot popular, just like using resistance bands. While cycling class is good for your lower limbs, different methods help focus on other parts of your body not just your legs. If spin classes were encouraging people to do a full-body exercise, it should deliver a full-body workout. There are varieties of spin classes that involves dribbling a ball, doing the speed bag, at the same time, holding weights to help other muscles in the body activate. The weights look light at first sight, but after a few minutes and songs, they will feel like a heavy stone and will impose a good challenge no matter how strong you are. Click here to know the benefits of spin classes to our body. Choosing cycling and spin classes does not mean that you are giving up on either exercise, trading your usual dumbbells and barbells for tight cycling shorts and spin shoes. But if you are fit and injury-free, you can add spin classes into your daily workout regimen. And if you have decided that cycling class is the way you are going to be fit, then don’t be ashamed to commit fully. No matter what kind of exercise routine, you choose, the important thing is that you enjoy it and you are getting fit.